Only a year into his new presidency, Donald Trump has made a decision that will impact more than 800,000 immigrants. The President allowed Deferred Actions for Childhood Arrival (DACA) to expire. DACA was established by former President Barack Obama with the goal of protecting young people brought over to the United States as children. 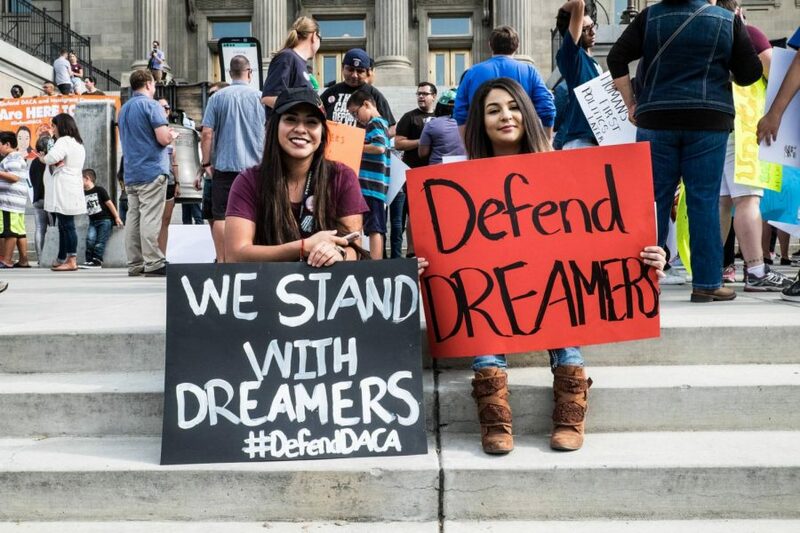 These children are often referred to as “dreamers.” DACA allows children who arrived in the US before age 16 and have lived there since mid-2007 to apply for protection from deportation and work permits if they meet all of the requirements. On September 5, 2017 President Donald Trump announced his decision to end DACA, igniting a fierce response from the general public including immigrants and Americans alike. After facing controversy from social media and protestors, Trump issued this statement, “I do not favor punishing children, most of whom are now adults, for the actions of their parents. But we must also recognize that we are a nation of opportunity because we are a nation of laws.” President Trump’s decision to end DACA was one of his many presidential campaign promises that also included a border wall between the U.S. and Mexico that he insisted Mexico would pay. “I agree that we should have a fair immigration policy, however, refugees should still be allowed to enter the U.S., especially children,” commented sophomore Kristina Dawkins. White House press Secretary Sarah Huckabee Sanders denied the decision was “cold-hearted,” claiming the president wants DACA made permanent as part of “comprehensive” immigration legislation. In September 2017 President Trump asked Congress to find an alternative solution/replacement to the DACA program. The deadline was supposed to be met by March 2018, but no such solution was enacted. “I think people are avoidng the problem. If Congress could not find a replacement then it simply means DACA should not have one,” says senior Julius Vaunado. For now renewals of DACA applications are still being accepted, after nine state attorney generals sued the federal government. However, new applicants are currently not being accepted.